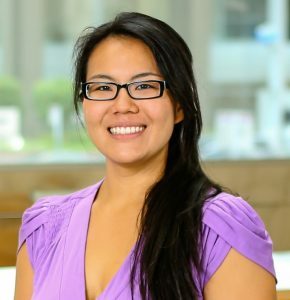 Lisa Lin is the Climate Program Manager for the City of San Antonio’s Office of Sustainability, where she oversees project development and coordination for the Climate Action and Adaptation Plan (SA Climate Ready). Her previous roles include launching sustainable transportation programs at Rice University, serving as the Sustainability Manager for the Mayor’s Office in the City of Houston, working at an environmental NGO on climate programs, and specializing in green building practices as an intern architect. Lisa is also a professional cellist who has been teaching and performing for nearly 20 years. Lisa received her Bachelor’s of Environmental Design from Texas A&M University’s College of Architecture. 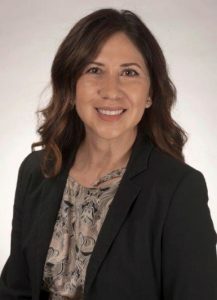 Carla De La Chapa is the Interim Senior Manager for the Climate Action and Adaption Plan activities, also known as SA Climate Ready, at CPS Energy. She is the liaison for and project leader responsible for City and public engagement in the SA Climate Ready initiative. Her experience covers over 15 years of environmental compliance, energy efficiency and demand response program management, and data analytics in the utility and environmental industry. As a seasoned program manager, she is passionate about managing programs with challenging targets, high visibility, and a myriad of stakeholders. Carla received her Master’s degree in Environmental Science from the University of Texas San Antonio and holds a degree in Sociology from Our Lady of the Lake University. San Antonio Testing Laboratory was established in 1987 as an independent, environmental, analytical laboratory. The company was established for the primary purpose of providing independent, environmental, analytical testing with a focus on quality and customer service. We are located at 1610 South Laredo St., San Antonio, TX 78207. We are a Hispanic, woman owned, small business that is HUB certified by the State of Texas as well as SBE, MBE, WBE and DBE by the South Central Texas Regional Certification Agency. San Antonio Testing Laboratory is accredited under the TCEQ/NELAP program for chemical and microbiological analysis in Drinking Water, Non-Potable Water as well as Solids & Chemical Materials matrices.